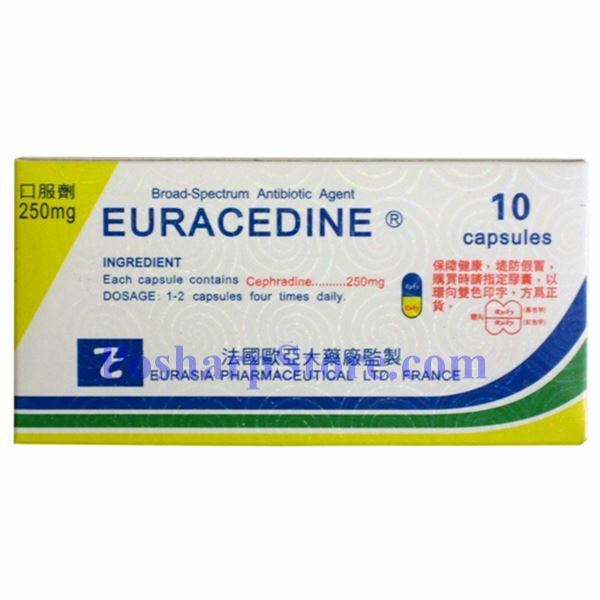 Euracedine is a broad spectrum antibiotic agent for treatment of infections due to gram positive and gram negative bacteria such as proteus, enterobacteriaceae, klebsiella, salmonella, staphylococcus, streptococcus and diplococcus. 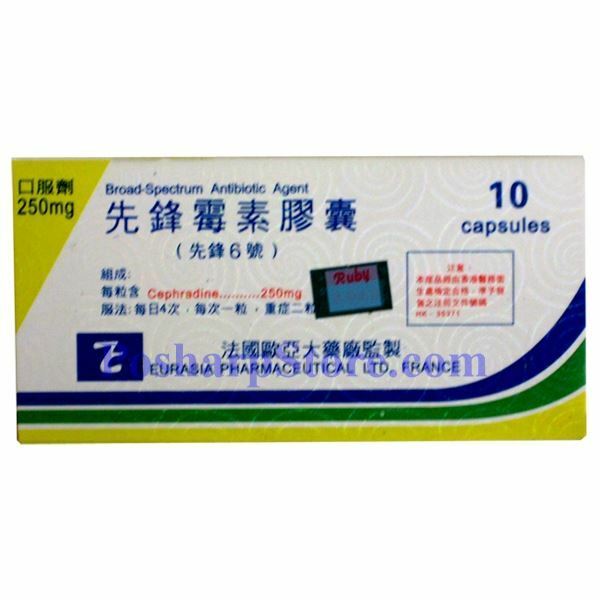 Use also for genitourinary tract, biliary and respiratory tract infections or for wounds, skin and soft tissue infection. Ingredients: Cephradine 250mg. 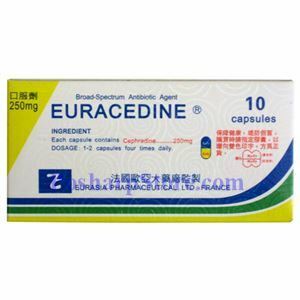 Made by Eurasia Pharmaceutical Ltd. France.